– Criminals aren’t complicated, Alfred. We just need to figure out what he’s after. – With respect, Master Wayne perhaps this is a man you don’t fully understand either. A long time ago, I was in Burma and my friends and I were working for the local government. They were trying to buy the loyalty of tribal leaders by bribing them with precious stones but their caravans were being raided in a forest north of Rangoon by a bandit. So we went looking for the stones. But in six months, we never met anyone who traded with him. One day, I saw a child playing with a ruby the size of a tangerine. The bandit had been throwing them away. – So why steal them? – Well, because he thought it was good sport. Because some men aren’t looking for anything logical, like money. They can’t be bought, bullied, reasoned or negotiated with. Some men just want to watch the world burn. 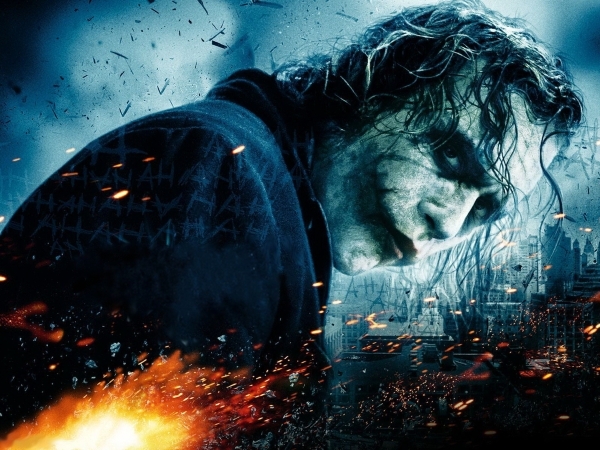 Cet article, publié dans C'est pas moi qui l'ai dit... mais j'aurais bien aimé, est tagué The Dark Knight, The Joker. Ajoutez ce permalien à vos favoris.